With the whole Dieselgate scandal hovering over Volkswagen’s head, it would be easy to forget about their non-diesel lineup. Regardless if the German automaker truly cheated on EPA tests or not, there’s no denying that they make some good cars. And I mean really good cars. Reliability has always been at the forefront of customer concerns, but one would never doubt a Volkswagen’s underlying performance. 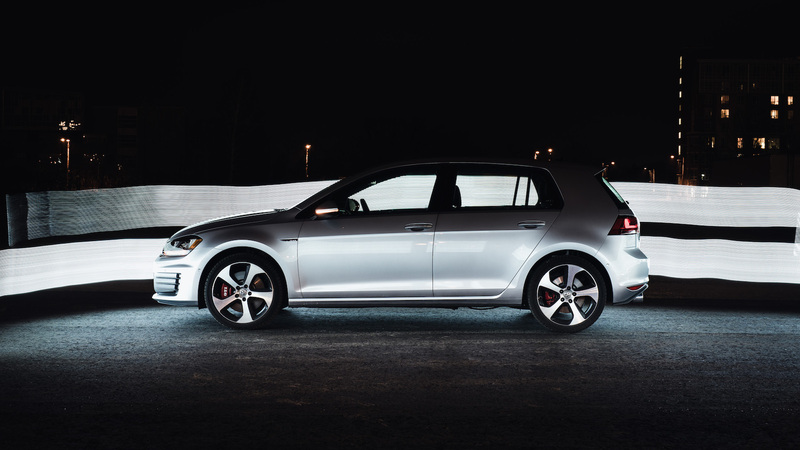 The Golf GTI is no exception. I’ll be honest with you readers - I’ve never spent some quality time with a Golf GTI before. Sure I’ve had short driving stints in a few models for an hour or two, but this marks the first time I’ve lived with, dined with, s̶l̶e̶p̶t̶ ̶w̶i̶t̶h̶ a GTI. I’ve heard many positive things about it over the years: its dynamic appeal, the preppy turbocharged engine, lightning-fast dual-clutch transmission, and unwavering market value, but that’s all been theory to me. As luck would have it, I’ve got the keys to a brand new 2016 Volkswagen Golf GTI Performance with only 450 kms on the odometer. I’ve got a full tank and seven days to test drive and check it out for myself. No more sitting on the bleachers and no more spectating. This baby GTI is ready to get broken in, and I’m ready to finally get behind the wheel. 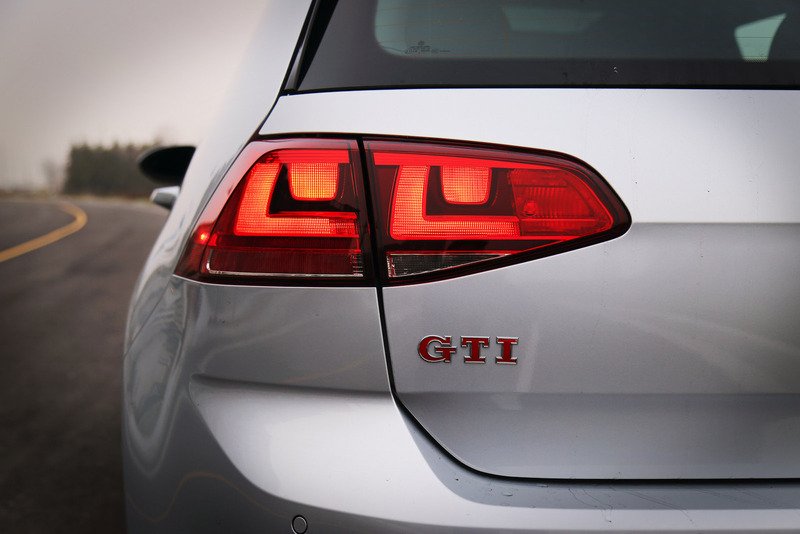 Ever wondered what GTI stood for? Gets Tickets Instantly? Got Turbo Inside? No – it’s more technical than that. It stands for Grand Tourer Injection, a term that describes a fuel-injection car. It traditionally represented grand touring cars but now it’s applied to various hot hatches around the world: Suzuki Swift GTI and Peugeot 207 GTI, just to name a few. Volkswagen should have coined it a Golf OMG because they’ve given birth to a car brimming with hormones. Think of the GTI as a short body builder going through PMS. Boost is plentiful and we can thank the majestic 2.0-litre TSI turbocharged four-cylinder engine under the hood for such dizzying performance. 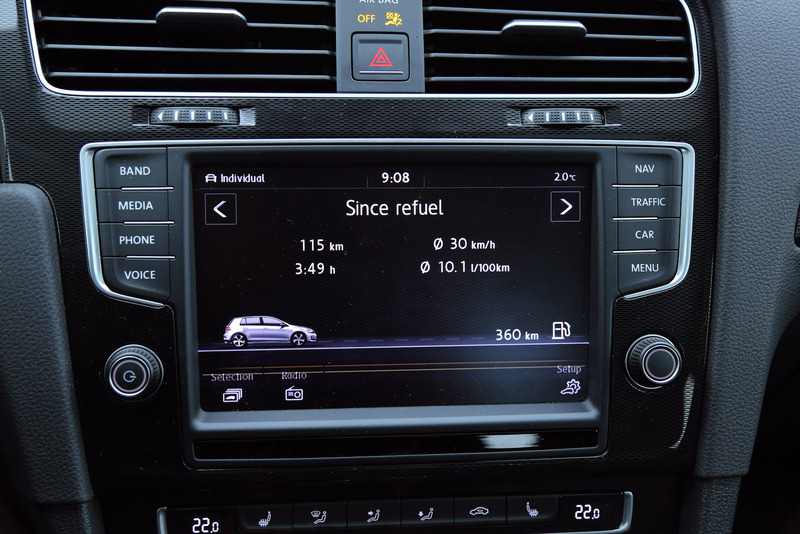 This is what all hot hatches should strive towards and like the 2015 model, the Golf is situated on Volkswagen’s new MQB platform that weighs 37 kg less than the generation before it. The compact engine delivers 210 hp and 258 lb-ft of torque from as low as 1,600 rpm, and it doesn’t really lose steam until you’ve hit the red. Our optional Performance trim adds on an extra 10 hp. Whether or not that is a noticeable bump is up for question, but with that staggering amount of torque on tap, no one would ever question the GTI’s straight line potential. Also part of the Performance trim is Dynamic Chassis Control, a locking front differential, red brake calipers, a larger 8.0-inch touchscreen infotainment system, and a plethora of standard safety systems such as blind spot monitoring, active cruise control, active park assist for automated parallel and perpendicular parking, and autonomous emergency braking. 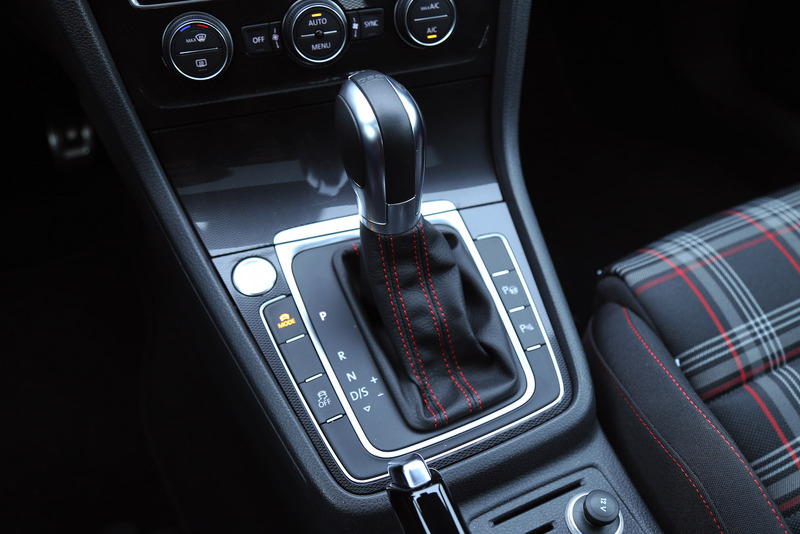 There are two transmissions to choose from, a 6-speed manual and Volkswagen’s six-speed dual clutch transmission ($1,400), dubbed the DSG. Our tester was fitted with the automatic and I have to say, it isn’t a bad way to go despite your tattooed up mechanic telling you otherwise – “say no to quick shifts and solo right leg commutes!” Both the manual and automatic are wonderful to use. It all comes down to personal preference, and there’s no shame in going with the latter. 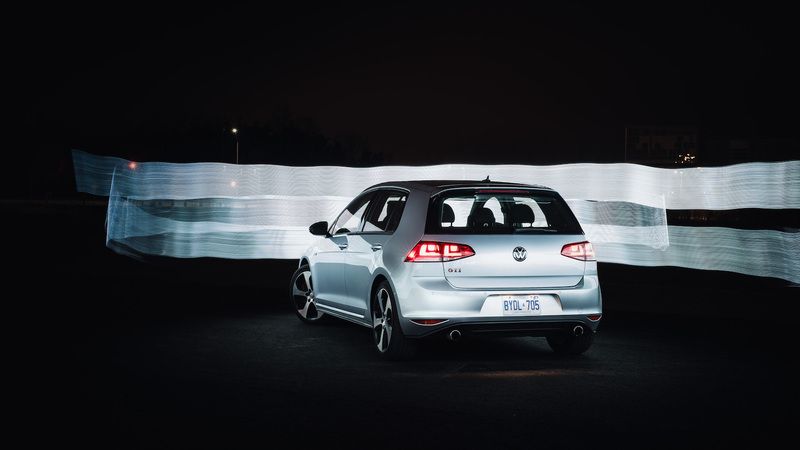 Marinated in a winning formula that made it famous in the first place, the seventh-generation GTI dons a set of brakes with marvelous stopping power, its handling around corners is on the ball, torque steer is practically negligible, and you won’t even be able to comprehend its 0-100 km/h time of around 6.5 seconds. Furthermore, there’s a high degree of driver customization through the center interface. You can adjust the steering, front differential lock, drivetrain, adaptive cruise control, front lighting, dynamic chassis control, front lighting, and interior engine sound. Wait what? You can customize the engine sound? You heard me right. That turbo-four is a sweetheart that dials up the revs but when you’re up-shifting at redline, you’ll hear a satisfying baritone fart from the exhaust. Is that auditory trickery being piped in through the speakers? Unfortunately, it is. 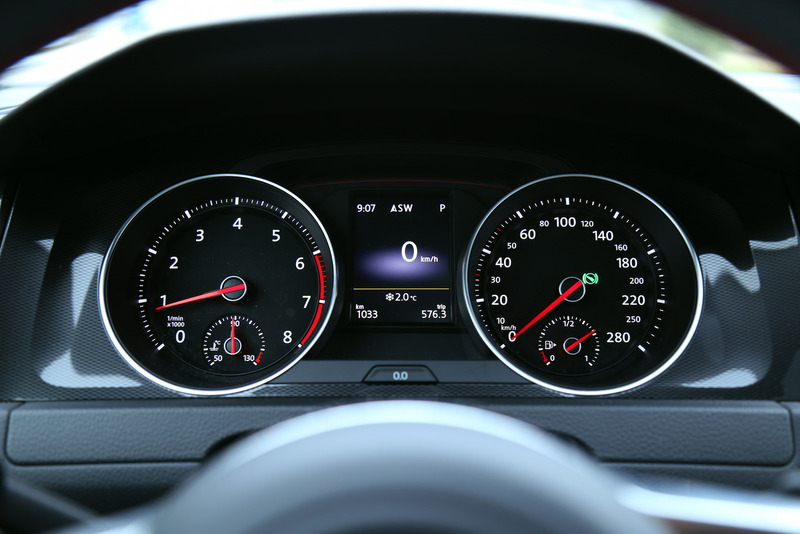 Volkswagen uses technology to bring sound from the engine into the cabin, thereby “enhancing” the experience. All this is happening right under your nose – if you don’t like it, turn it off in the settings menu. 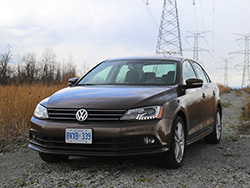 If it’s really bugging you, then you can unplug the system – multiple Volkswagen forums will show you how. 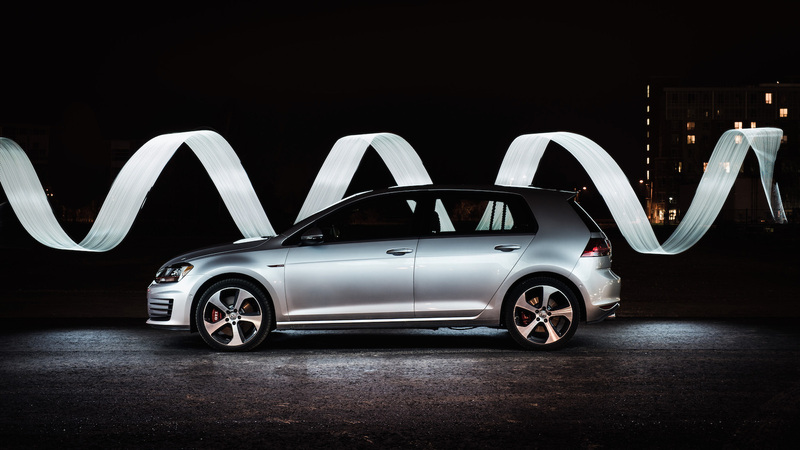 It’s a rollover year for the Golf GTI, meaning there are no major exterior upgrades to the vehicle. 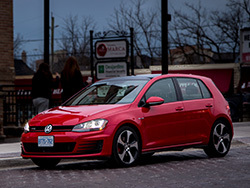 Despite the lack of changes, this colour and trim is exactly how I would spec my GTI: Reflex Silver Metallic paint, red brake calipers, and a black (and classic) Clark-styled interior. The outfit is beautiful in the flesh and it’s not just your boring rental silver. This one has got a bit of blue moonshine in the sparkle; reminding me of BMW M cars dripped in Silverstone paint. 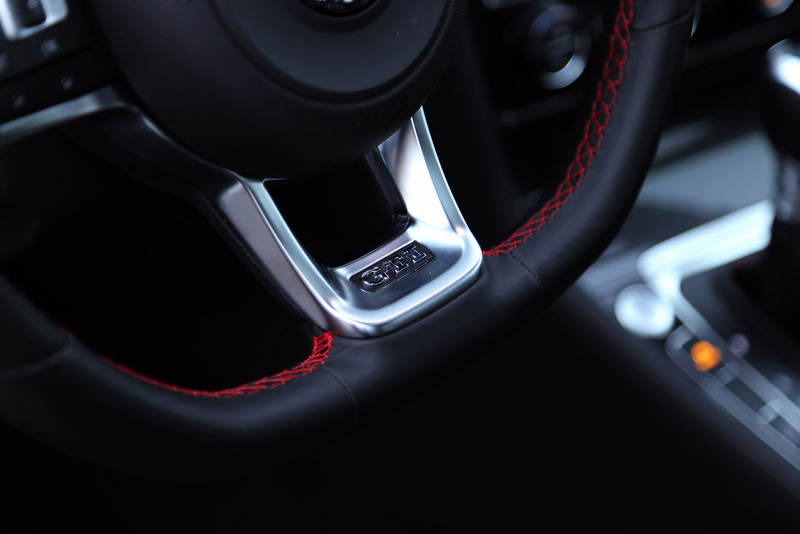 The Golf GTI sports a classy German interior with high quality finishes and even some piano gloss finish on the topside of the handbrake – I love these hidden touches. Panel fitment is ace, the multitude of buttons feel expensive, and no rattles could be heard throughout this well thought out (and relatively new) cabin. 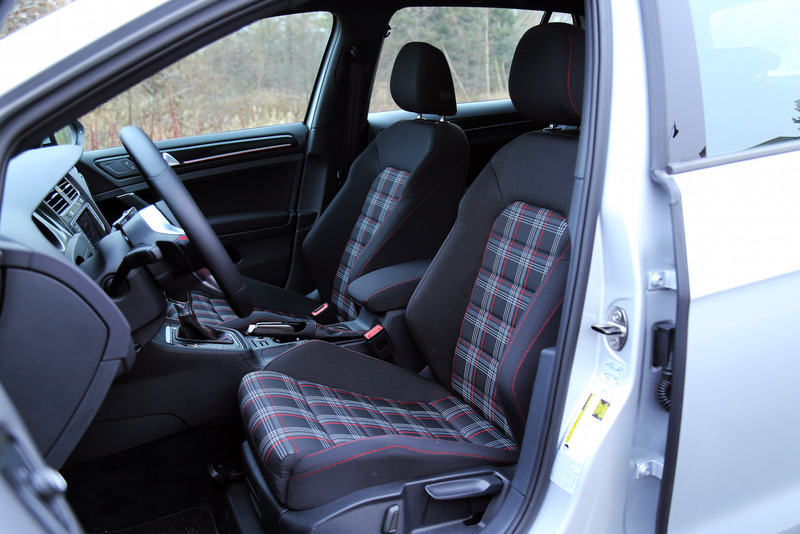 My tester came with the tasteful Clark interior with controversial plaid seats. It’s not a look that will please everybody but for those in question, leather-seating surfaces are available for an extra $1,110. The thin-rimmed steering wheel is by far my favourite part of the cabin. The flat-bottom design and fantastically machined GTI badge really appeals to me. I just wished that the paddle shifters were larger and chunkier. They feel like cheap plastic at the moment and are a huge contrast to the rest of the trendy interior. If I was opting for an automatic, I would still demand the satisfying feel of shifting gears, and these paddles just don’t tickle my fancy. Storage capacity on the other hand is stunning. I had enough room in the back to store a full set of winter tires, a front passenger, a few bags, and probably even the rest of your child’s soccer team. It’s also nice to have the option between a two- and four-door hatchback, and both variants comfortably seat five. The Golf swallows anything you throw into it – certainly doesn’t look like it from the outside. There is so much utility and practicality in this deceptive performance hatch that it makes you scratch your head and think, “hmm, is this what happens when you make a hot hatch out of an economy car platform?” You seem to get the best of both worlds, and that isn’t a bargain that will stay on the shelves for very long. New for 2016 is an upgrade in cabin technology, not that it was desperately needed in the first place; the previous 5.8-inch system was fairly good. But now we get a standard 6.5-inch touchscreen interface with a larger 8.0-inch on the Performance models, a standard rear view camera, universal USB input (finally), and compatibility with smartphones for Apple CarPlay, Android Auto, and MirrorLink. Tech-oriented customers would be glad they waited an extra year for this infotainment system – it’s a darling to use and a welcome upgrade to the VW lineup. The resolution is exceptional, the pixels are crisp, and the interface is simple. Regardless of the size, the rear view camera display is one of the most high-definition examples I’ve ever seen on a vehicle. The camera pops out from behind the rear VW badge, so you’ll witness a little cranking noise when you put the gearbox into Reverse. I’ve started to fall in love with this car. 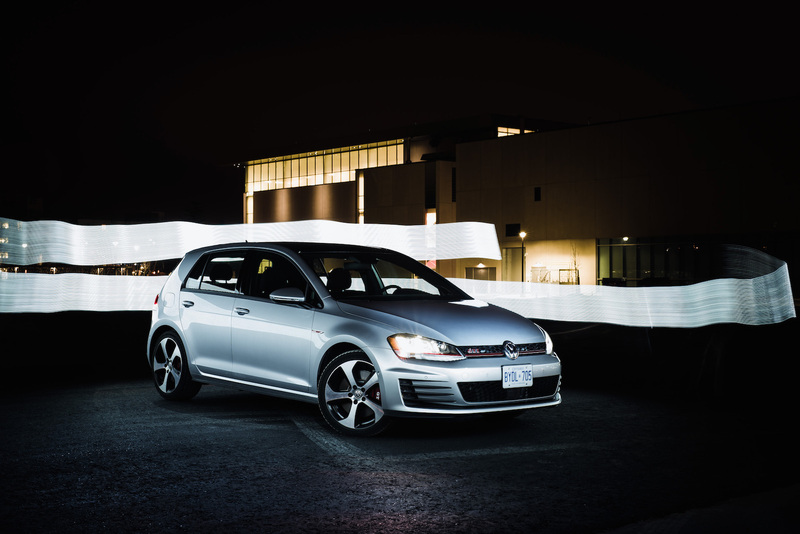 The first few days got me hooked to the GTI nameplate – this was the honeymoon period. I was drawn to the authoritative engine, the way it handled, and the way it zipped around town without a care in the world. Then the sparkle began to wear off and during the next few days with the Golf, I started to ease into the comfort zone. I started to tinker with Apple CarPlay, make use of the new USB ports, preset all my favourite radio stations, and customize each of the driver’s settings to whet my appetite. 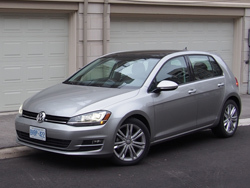 It’s only when I had to hand back the keys to Volkswagen Canada that I had started to miss the Golf. The charm, the enormous trunk, the fun, and the wondrous exhaust note, I missed it all. You really don’t know what you’ve got until it’s gone. Until next time, GTI.